MoldTech was created to make a niche in the restoration industry - not fill one. When we began, mould removal was a by-product of water damage restoration tear-out practices and was usually performed by untrained and unqualified technicians. Even worse, a lot of homeowners were removing mould themselves while completely unaware of the potential hazards. By the time peoples' awareness grew concerning the potential health effects of mould, MoldTech had a very strong foothold in the industry. We literally had no online competitors and there wasn't even a section for us in the Yellow Pages (we had to convince them to make one!). We feel that the most effective way to help a person or business is to have an intimate knowledge of the inspection and remediation process from start to finish. All too often, a person selling you a service has no idea how to perform the service. Talking about mould removal and inspection is not the same as actually removing mould or searching for it. At MoldTech, there is no knowledge disconnect between our employees. Whether you’re dealing with our receptionist or the technicians physically removing the mold, you can be sure that you're speaking with someone who has all the answers and excels in every facet of the mold inspection and removal process. Many clients find this comforting and it has helped us become one of Toronto and the GTA's top mould inspection and remediation firms. We have the best employees! Our certified technicians have been with us for years and draw on their experience as well as their training to get the mould removal work done right. Our philosophy on management is that if your treat your employees great, you can accomplish great things. We strongly believe that the quality of work heavily relies on the techs working the front lines. Courtesy. We pride ourselves on the courteousness and pleasant demeanor shown by our technicians and inspectors. Our technicians, inspectors, and supervisors are always discrete and professional as well as respectful of the environment in which they are working. There's nothing worse than having loud, abrupt, and ignorant workers storming around your home or workplace causing disruption or making you feel uncomfortable. We can accommodate any size project - whether on-site, at our large facility, or at your home or office. Our warehouse can accommodate up to 15 tractor trailers, so we can deal with extensive contents remediation. Our forklift operation, truck bay, and highly secure facility can get any mold removal project done safely, quickly, and effectively. Our certification and training allows us to work in confined spaces and we are up to date on fall arrest and all the requirements needed to meet the Ontario Occupational Health & Safety Act, Statutes of Ontario 1980, Chapter 321, Regulation 691 as amended by Ontario Reg. 213/91. We don’t take safety lightly, our WSIB is always up to date, and we have all of our insurances in place, so you can have peace of mind. If you’ve discovered mold growing in your home or business, or suspect that it might be, it’s important to hire a professional to perform an inspection or removal. Removing mold completely is not something a homeowner can do - using materials or products found at the hardware store may even help mold to spread through your home. Hiring MoldTech to remove mold and remediate your attic or basement ensures that your home will be mold free and that your family’s health and comfort is protected. It is important to hire a contractor whose qualifications and credentials you can trust. At MoldTech, we maintain memberships at three independent, non-profit associations so that we are able to better serve our customers and offer them third-party confidence when choosing us as their mold removal company. The first is the Institute of Inspection Cleaning and Restoration Certification, or IICRC. This organization has lead the way in developing modern industry standards when it comes to cleaning and restoration after water damage or for mold remediation. For the consumer, this means that MoldTech must have a technician on all jobs that has been formally trained and tested by the IICRC, and who undergoes continuing education to remain up-to-date on current standards and techniques. 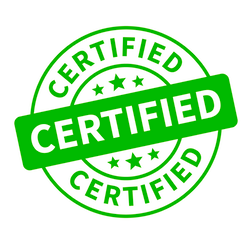 As professionals, this certification means that MoldTech has access to the best research and products on the market, and that our services are able to meet the changing needs of our customers. Another organization that is important to our work at MoldTech is the National Association of Mold Professionals or NAMP. Their goal is to develop and promote the mold removal and remediation industry, and as the oldest and largest association of its kind in North America, it has developed comprehensive training and certification programs to give members authoritative credentials. Like other organizations, membership in NAMP requires ongoing education for its members and allows us access to specialized industry tools and knowledge. Indoor air quality is an important and often-forgotten part of mold removal and remediation. In order to leave you with a healthy home environment, we also maintain a membership at the IAQA, the Indoor Air Quality Association. This allows us to remain on top of the latest in indoor air quality technology and research and gives MoldTech a significant advantage in knowledge and skills when it comes to the most important part of mold removal – a comprehensive clean up. Further involvement in organizations like the Ontario Association of Home Inspectors allows us to share our experience and knowledge of mold removal techniques and best practices, and remaining up-to-date on provincial and national health and safety standards allows us to ensure our teams and your family remain safe throughout the mold removal process. Our membership in this organizations means that our products and services come certified to independent third party specifications. Memberships in these organizations are more than an annual fee - it is a commitment to their professional standards and guidelines, ongoing training and recertification, and engagement in the latest knowledge and research in our field. 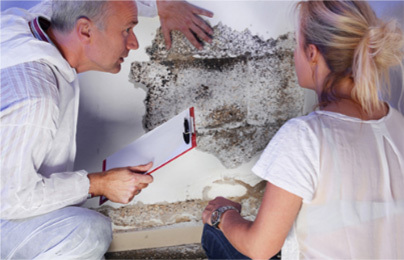 By hiring a professional at MoldTech to remove mold in your home, you gain all our combined knowledge and professional skills that we’ve gained through our involvement in these organizations.